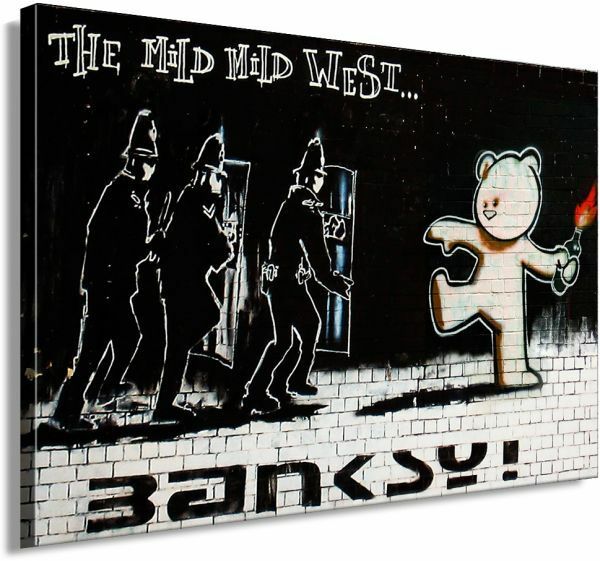 Banksy Graffiti Street Art 1326. Size 100x70x2cm(l/h/w). Canvas On Wooden Frame. Made In Germany.